Well we finally heard back from the IRS regarding the status of our tax exempt application. It wasn’t looking like we would hear from them for about six more months or more, but about three weeks ago we got a letter with a number of questions and requests. We received the letter about two days before I left for Boulder, CO to take a 10 day wilderness first aid class. The letter indicated that we only had two weeks to get the our response back to them. So as soon as I got back from my class, CJ and I sat down and prepared a response. We faxed it to them with three days to spare. So we are hoping that our responses are satisfactory and that we get our 501(c)(3) exempt status in the next month or two. Please pray for a speedy positive answer. 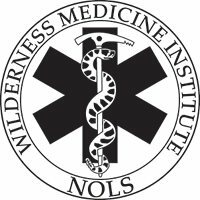 As I stated above, I ventured north to Boulder to take a wilderness first responder course, put on by the Wilderness Medicine Institute. It was at least eight hours each day and it went on for 10 days. It was very intense with a few hours of studying and reading each day after the class. So much information was thrown at us in such a short amount of time, and I really struggled in digesting it all. I was definitely not used to this teaching style. I used the analogy of a funnel to describe wha t I was experiencing. My brain was the funnel and the vast amount of info thrown at us was the fluid that was being poured into it. With only so much being able to exit out the bottom, the info was overflowing over the top. About midway through the class, I was feeling very overwhelmed and the thought of quitting crossed my mind. So CJ sent out a prayer request for me, and with that prayer and her encouraging me, I choose to stick it out. As the class progressed, I sensed that my brain stated to absorb the info. Throughout the time I was in Boulder, I had numerous conversations with God that if He wanted me to pass this class I needed His help. I could not do it under my own power. HE came through, the morning of the test a sense of calm came over me and I had a clear focus in taking the writing and practical parts of the test. As a result I passed the class!!! Thanks to all who covered me in prayer, I could definitely feel it!!! The class really opened my eyes to how ill-equipped I was and the overall seriousness of potential emergency situations that happen in the wilderness. Well I am now certified in wilderness first response first aid, which will better prepare us to lead safe hikes in the mountains far away from advanced life support. In the near future, other ministry leaders will be taking this class or the shorter first aid class.